Council fielded questions about modifications to two township facilities at their most recent meeting. A consent agenda resolution authorizing $19,904 to revise the exterior lighting at the Kings Highway Water Treatment plant was the impetus for much discussion at Monday night’s meeting. Residents of the Blason Woods development had previously approached council regarding the bright lighting and noise emanating from the plant. Blason Woods resident Heidy Citerone thanked council for the resolution but inquired as to what was going to be done to improve the lighting. Township Manager Thomas Merchel said the facility’s existing LED lights will be swapped out with more directional lighting. Councilman Michael Locatell expanded by saying that the diode should not be visible from any property in Blason Woods. While he could not provide a definitive timeline, Merchel said the township is working on having the lights modified by September. Locatell said he and Merchel have made frequent visits to the plant within the last month in order to address neighbors’ concerns about the nearby light and noise. He said over the course of their visits, they learned that there is a bad bearing in one of the motors at the plant, and when it is turned off, the sound coming from the plant is dramatically diminished. Merchel said they also discovered that when the well closest to the development is turned off, the noise levels drop off. He said the plan is run the two wells that are further from neighbors’ homes in the warmer months and to turn the closer well on in the winter months when neighbors will be more inclined to have their windows closed. “We have plans in place for the sound issues right now,” Merchel said. Also in regard to buffering, resident Mary Zimmerman said she recently viewed a concept plan for updates to Memorial Field that is being circulated on Facebook. She said she was dismayed to see that there was no “buffer zone,” and she questioned why the neighbors haven’t been notified or consulted regarding work on the nearby facility. “Why hasn’t there been any information to the public because none of my neighbors have been aware of this in the surrounding area,” Zimmerman said. Councilman Manuel Delgado said as chair of the recreation advisory committee, he should have provided the neighbors with this information sooner. Delgado explained that a year and a half ago, the township had Taylor Design Group take a look at Memorial Field and draw up a concept plan for new soccer fields. He said the plan is to add three soccer fields on the left hand side of Memorial Field. He said grass fields can only be utilized for so many consecutive days in a row before they need to be rested, so the idea is to have two fields in use at any given time while one field rests during the season. The site is currently host to two fields, and in order to facilitate the third field, the baseball diamond will be eliminated. Additionally, the plan is to add lighting around the facility’s track so that residents can walk at the facility year-round, Delgado said. The facility will also have an additional row of parking added. Delgado said they found that residents were already parking alongside the field, and so the plan is to line this area and provide a more structured design for parking at the facility. Resident Roberta Scott said with no buffer or fence in place, the changes to Memorial Field will “greatly impact” neighbors. “We are concerned. We are scared. We are skeptical,” Scott said. Scott asked what council’s plan is to keep the neighbors informed. Mayor Stacey Jordan said council will present a plan for Memorial Field during the workshop portion of their Sept. 10 meeting. She said council welcomes public input at that time and that they will take residents feedback into consideration before moving forward with any definitive changes. 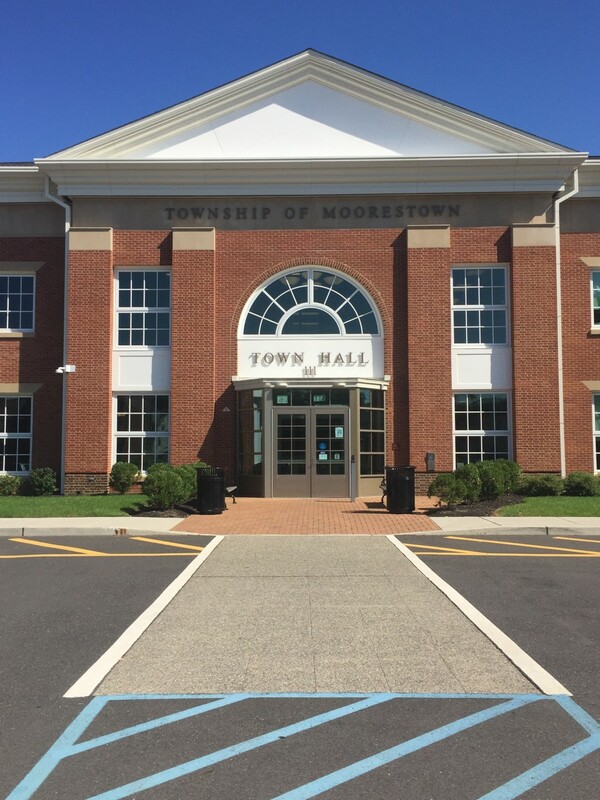 The next meeting of Moorestown Township council will take place on Monday, Sept. 10 at 7:30 p.m. in Town Hall.The workshop portion of the meeting will take place at 7 p.m.